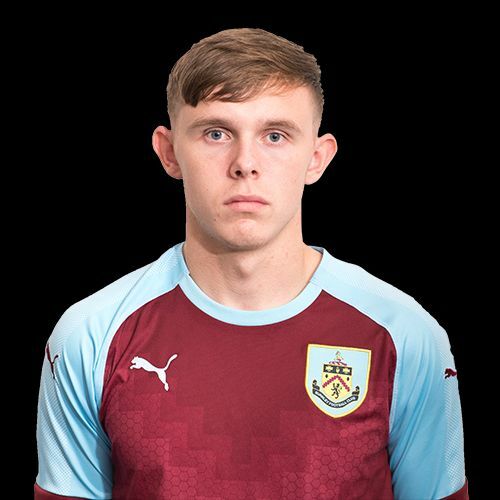 Burnley’s result against Bolton last Saturday was never going to move us up or down the U18 Professional Development League which has again seen a change at the top of the league. We kicked off five points behind then third place Leeds while Sheffield United, the only team that could have caught us from behind, were without a game. Beating Bolton 4-3, with goals from Dylon Meredith (pictured), Michael Fowler (2) and Mitch George has now taken us five points clear of the Blades although they do have three games in hand, one of which they will play this week. Nottingham Forest kicked off the day on top of the northern group but their stay was only one week. They’d gone above Sheffield Wednesday a week earlier but were beaten at home by Birmingham while Wednesday could only draw against Barnsley. That allowed Leeds to move back to the top after a comprehensive victory against Crewe. In the south, there were just two games played with Millwall’s win against Watford enabling them to move up to third place and within three points of second place Ipswich. QPR dropped to fourth having been held to a draw at home against Charlton. We are without a game this week, our next game is a week on Saturday when we travel to Crewe. There are only two games this week, one cross group game between Sheffield United and Cardiff while Coventry face Charlton in the south group. The League Tables will be updated as results are confirmed and can be found with our Fixtures and Results in U23/U18 Stats on the top menu. Last week’s results, this week’s fixtures, our goalscorers and the current league tables are below.